When the puck drops for your hockey team are the stands filled with people cheering you on? Are you having trouble coordinating times for your Monday night hockey league with all of your old high school buddies? Seeing how everyone is accessing information on mobile phones now, it’s a good idea to help your coordination or marketing efforts. 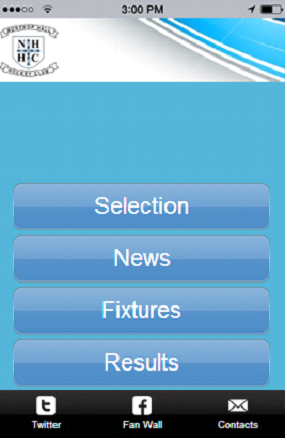 Hockey Team Mobile Apps. Imagine how easy it would be to simply send out a push notification to your friends when you have an update on your weekly hockey schedule. If your hockey team has a following then send out schedules and maps so people can come to the games and cheer on their favorite players. 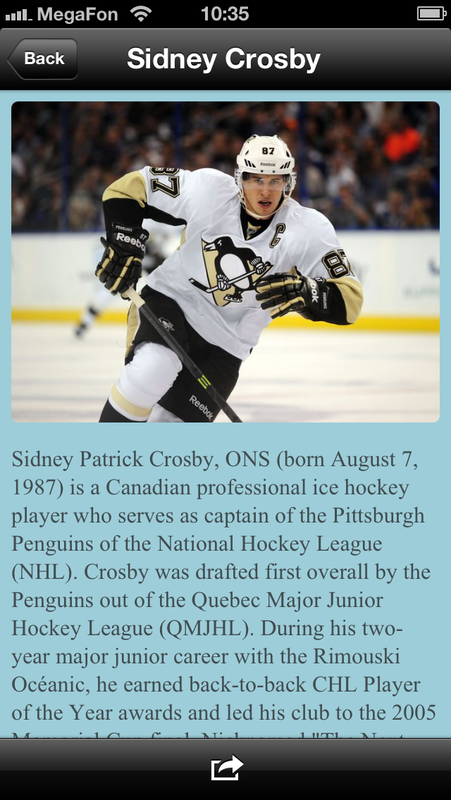 Think about using mobile app design templates to get started with sharing the word about your hockey team. The primary iBuildApp hockey template is below. We’ve looked into some of our favorite sports team apps, but now we want to narrow the focus with hockey team mobile apps that shred the ice. 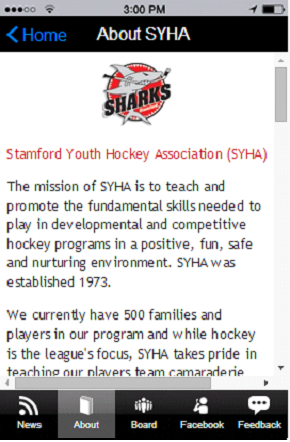 The SYHA Hockey app is ideal for hockey associations and clubs that want to provide information about the organization in a quick, sleek manner. This mobile app starts out with a nicely branded homepage to let people know what they are looking at. The logo gets the image in your head and the buttons aren’t too cluttered or distracting, making it easy to see what the app offers. 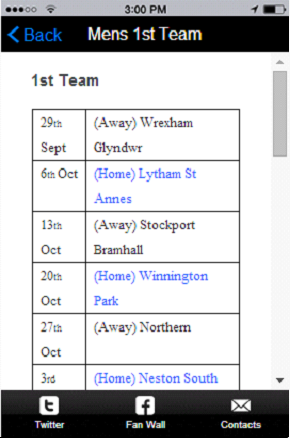 When families and fans want to learn about a hockey club they probably want to see schedules, results and where the teams play. Each one of these are addressed right from the homepage so that users don’t have to go searching for the information. I enjoy how the SYHA app breaks up the schedules into its different leagues and teams to target the people who are most relevant. The mobile app also offers an About page to fully explain what the program offers and who it applies to. Although you might find it self-explanatory, when someone downloads and opens your app they need to understand if they are allowed to play in the league and what the competition is like. 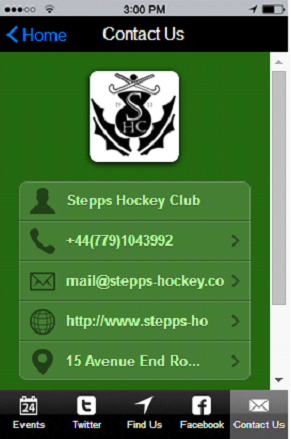 The Northup Hall Hockey Club app gives you some nice branding on the homepage with its logo and colors. I might increase the size of the logo a bit to clear out the empty space, but other than that, the app is quite simple to use and appealing. 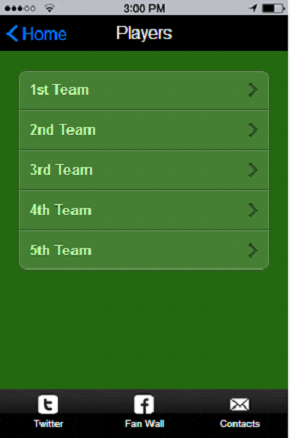 This app is primarily used to show players and families who has made which teams and how the teams performed in prior games. This is nice for an organization that manages different little league teams, since you might have to transmit roster information to large groups of people. Instead of sending out an email or posting a piece of paper on the wall, try using a mobile app that sends a push notification to everyone when the final roster decisions are made. 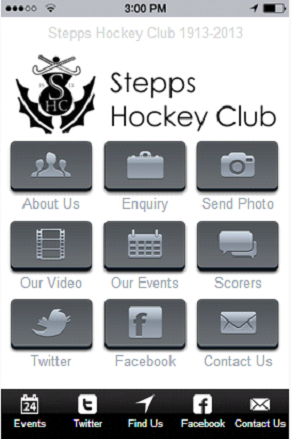 The Stepps Hockey Club designed a sleek mobile app with its logo blending in nicely with the other homepage colors and buttons. 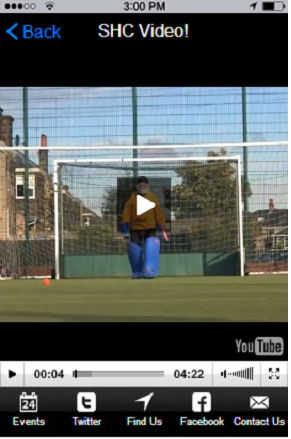 This is a field hockey team so they get people interested in the sport by offering free videos to show the teams in action. They also include a nice Contact page in case a person wants to contact the organization, and the logo is included on the contact page for fluent branding throughout the app. Another thing I like about this app is the use of social media buttons. If people want to interact with the team or talk about past games they have a chance to go on Twitter or Facebook without opening up a brand new tab in their browser. 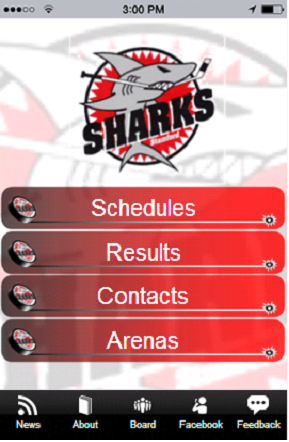 Not only that, but the hockey mobile app offers a Map tab that shows where the games are being played. Imagine joining a team or becoming a fan and never knowing where they are being played. This takes the legwork out of it since you simply look at the map and search for directions. Drop us a line in the comments section below if you plan on using one of the many mobile app design templates from the iBuildApp library. Share any questions you might have about building your hockey team mobile apps, and make sure you learn how to promote your app afterwards.